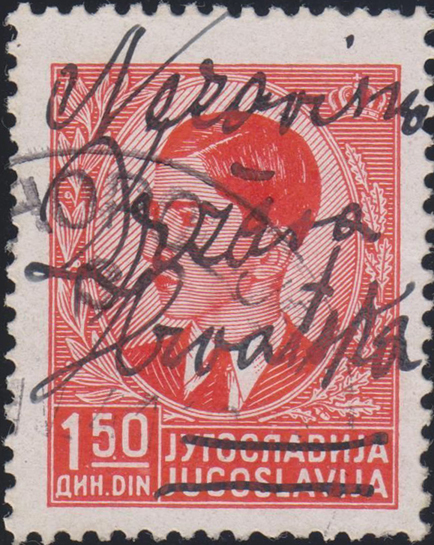 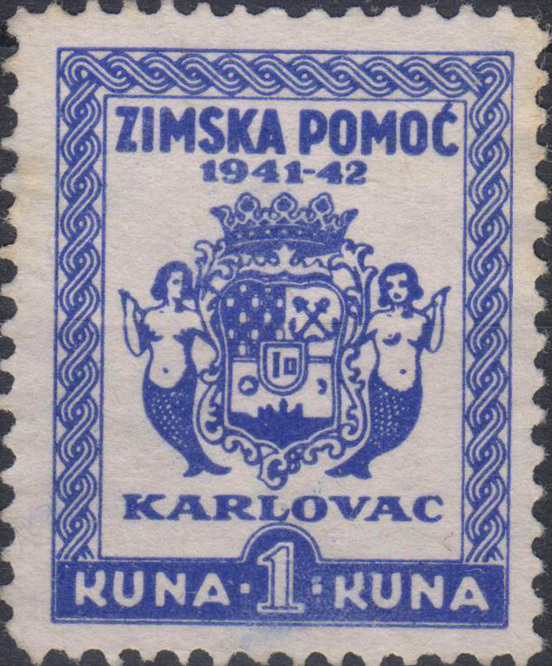 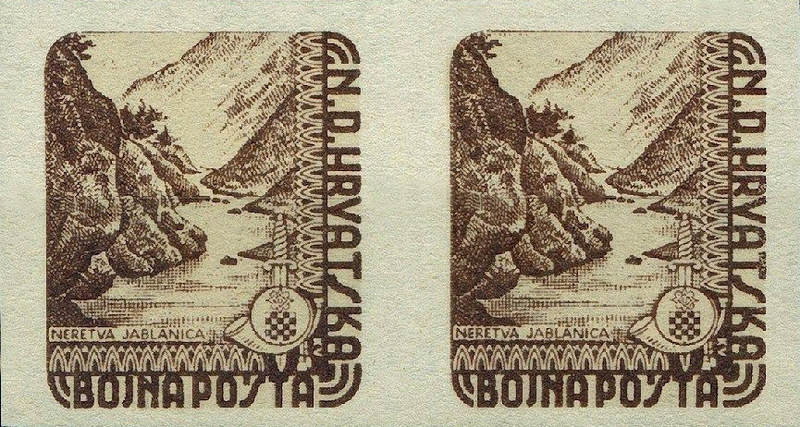 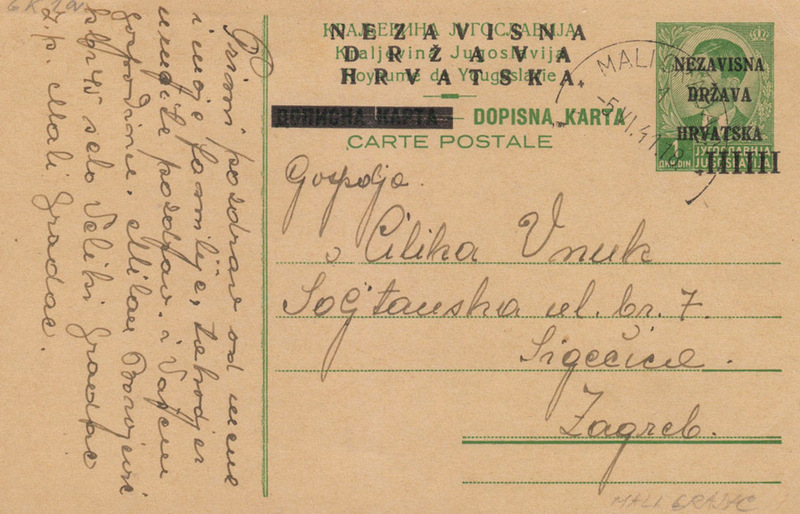 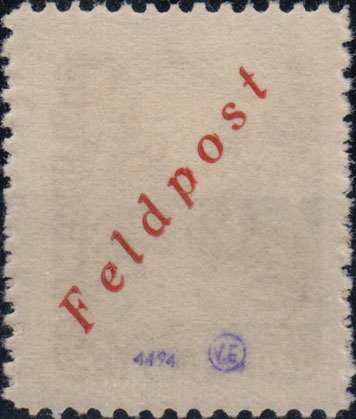 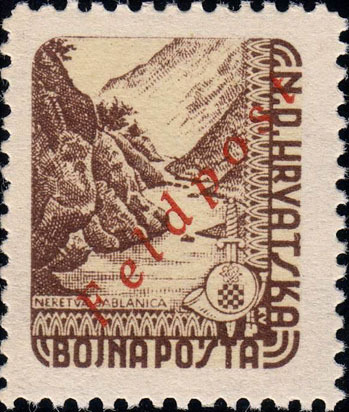 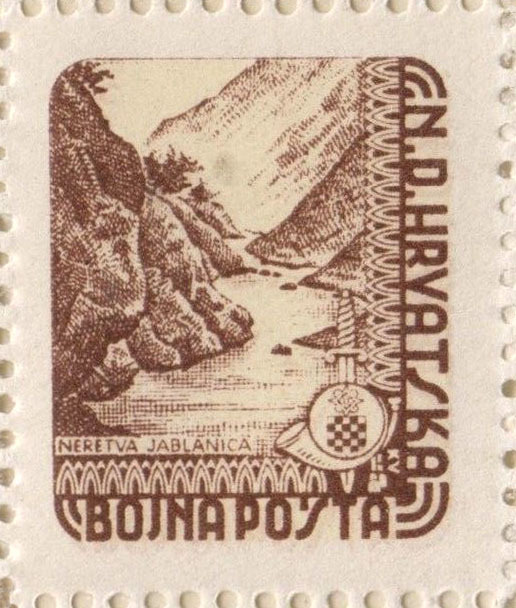 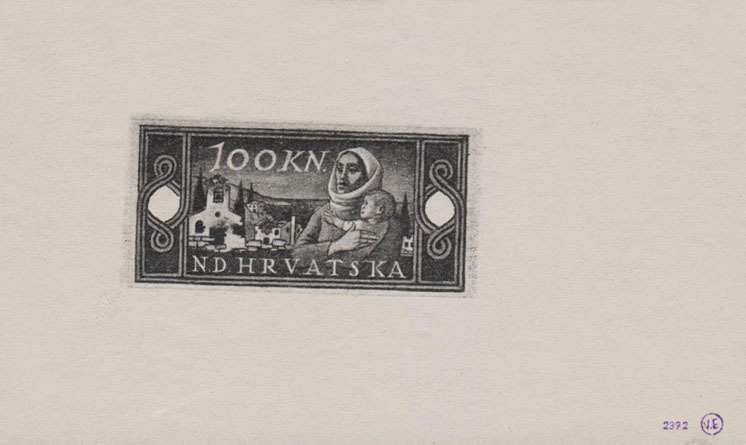 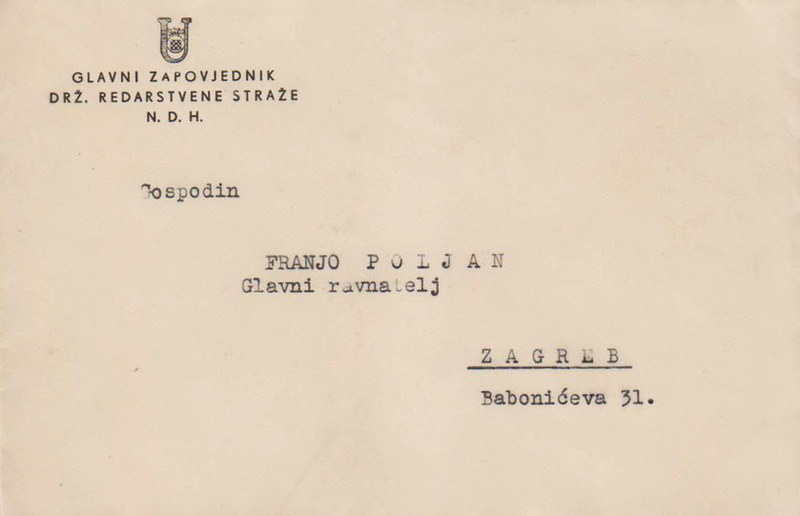 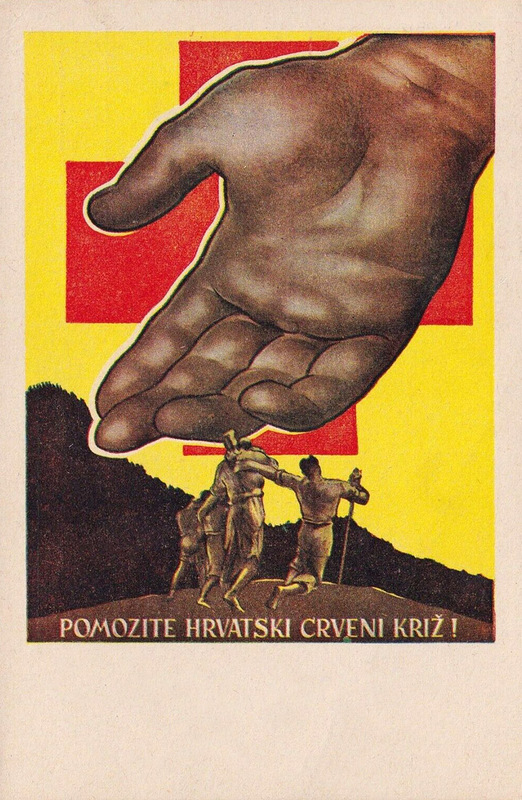 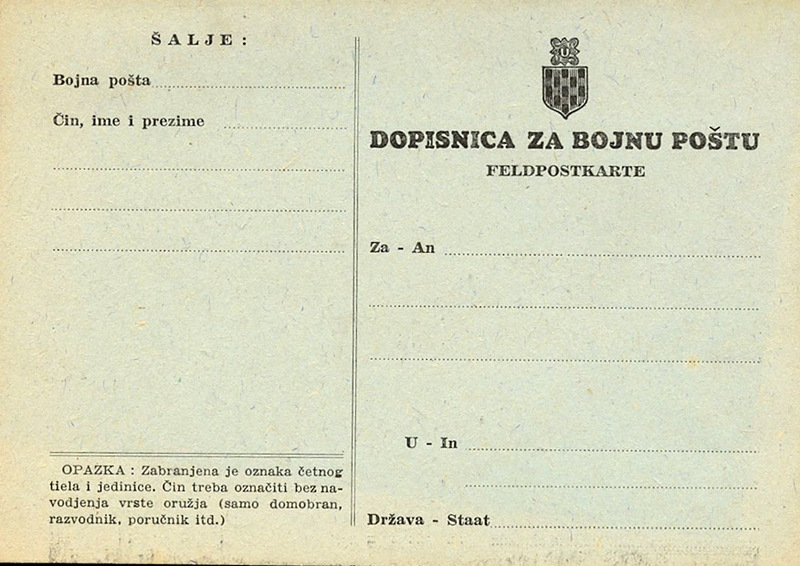 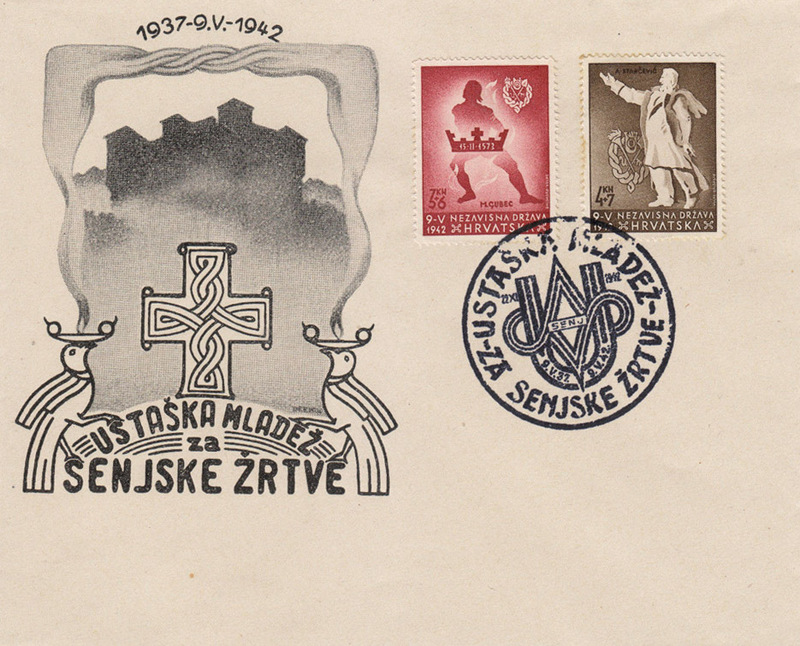 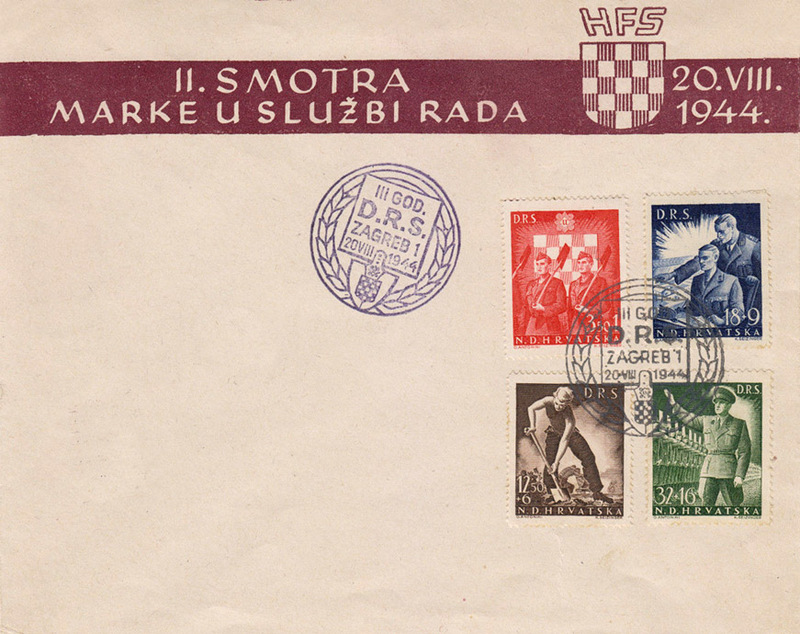 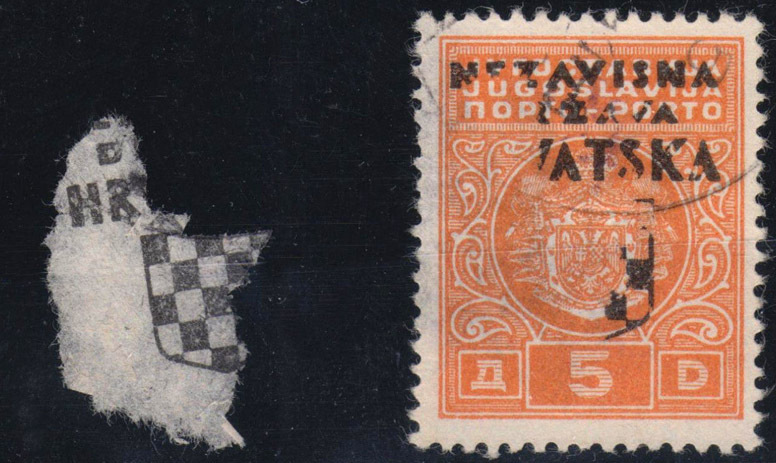 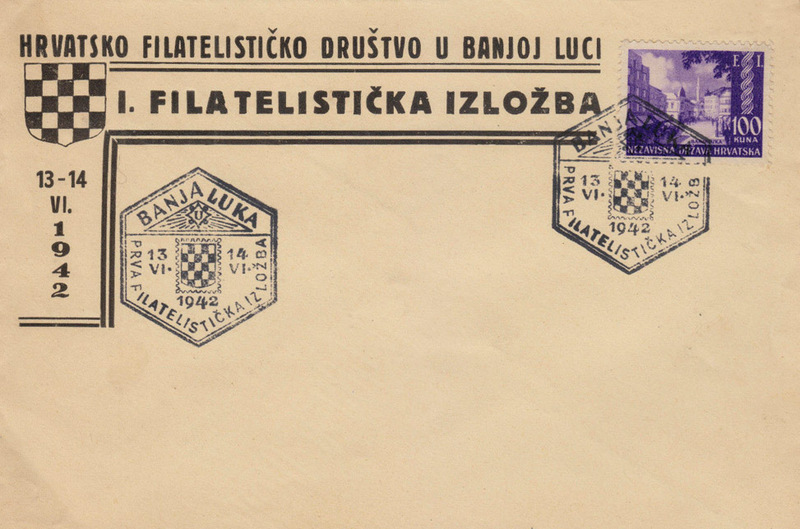 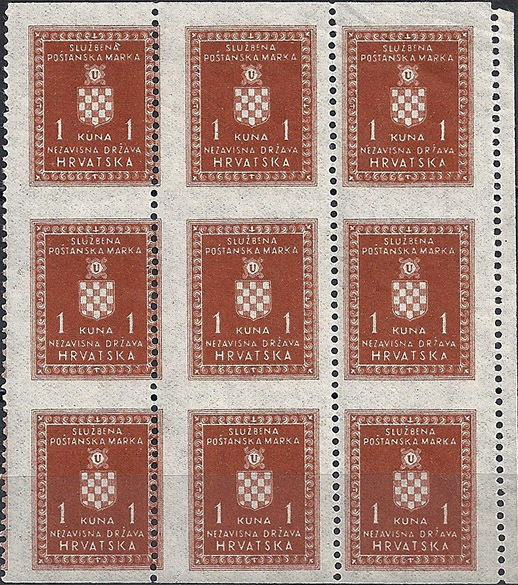 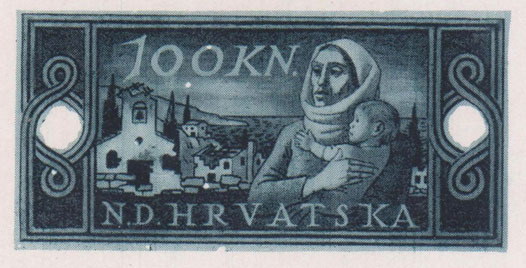 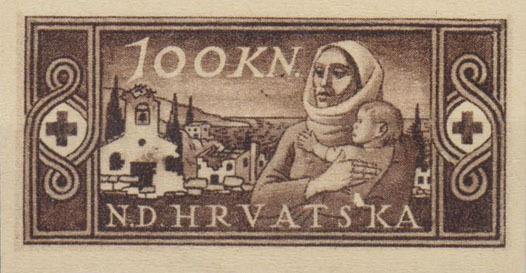 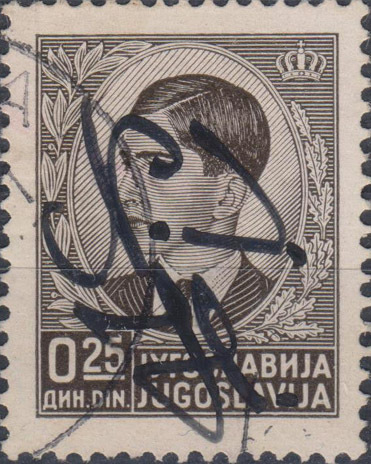 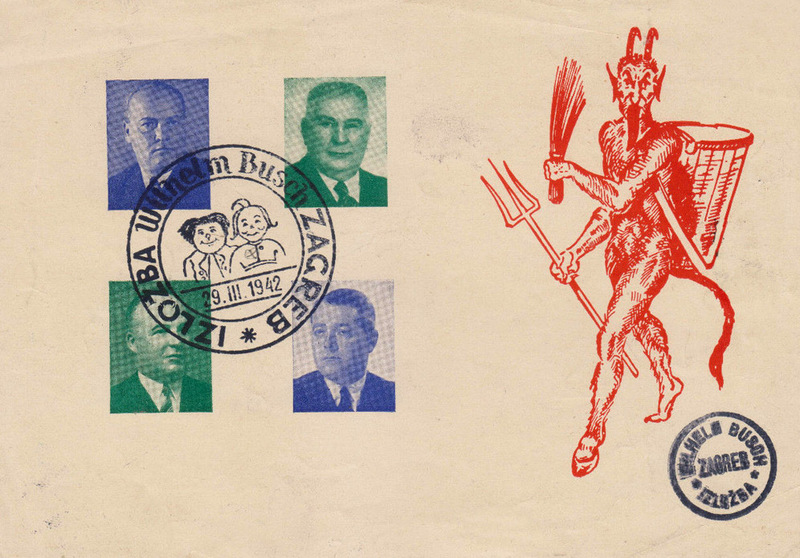 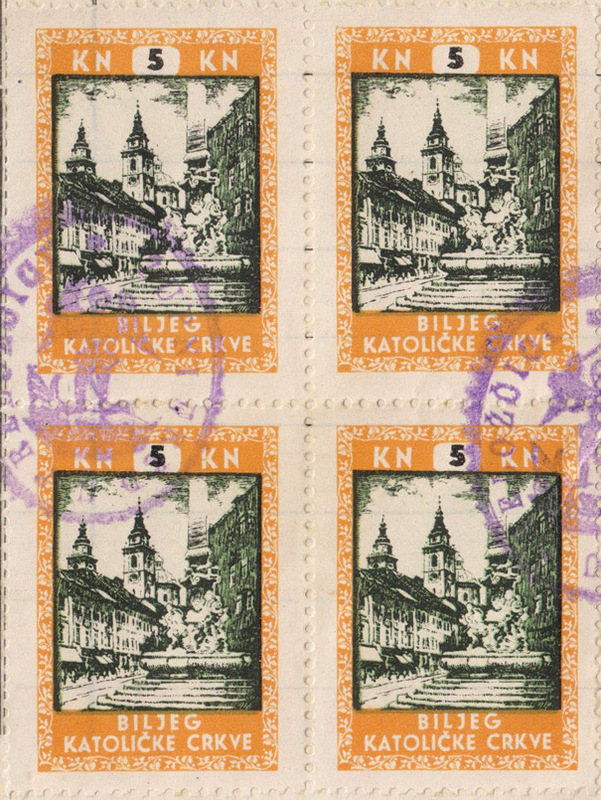 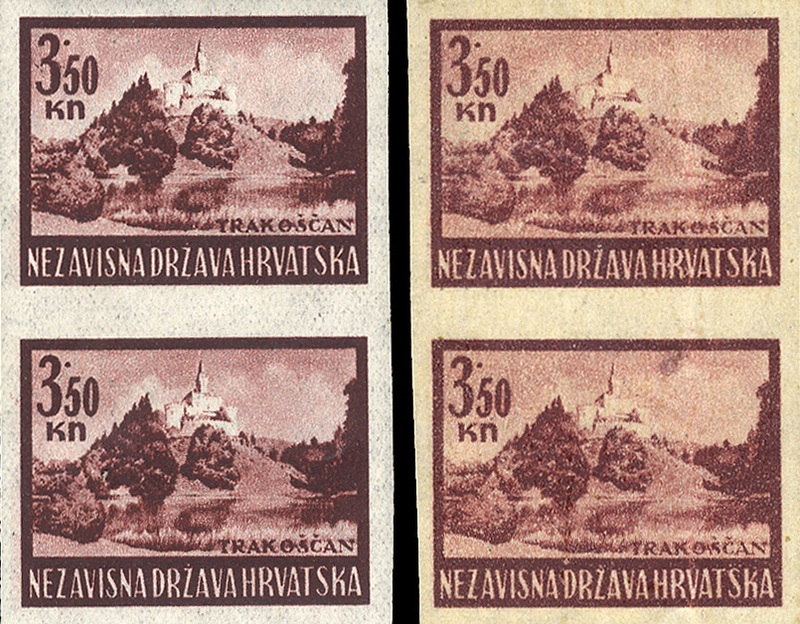 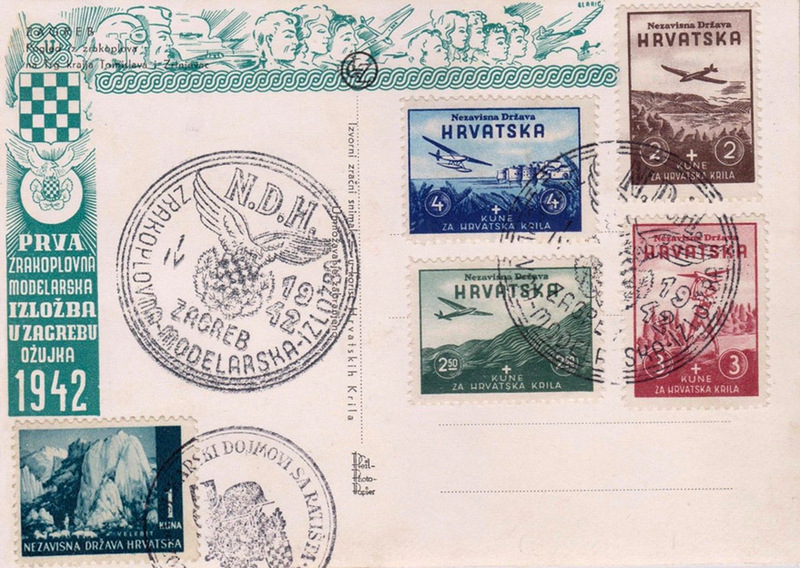 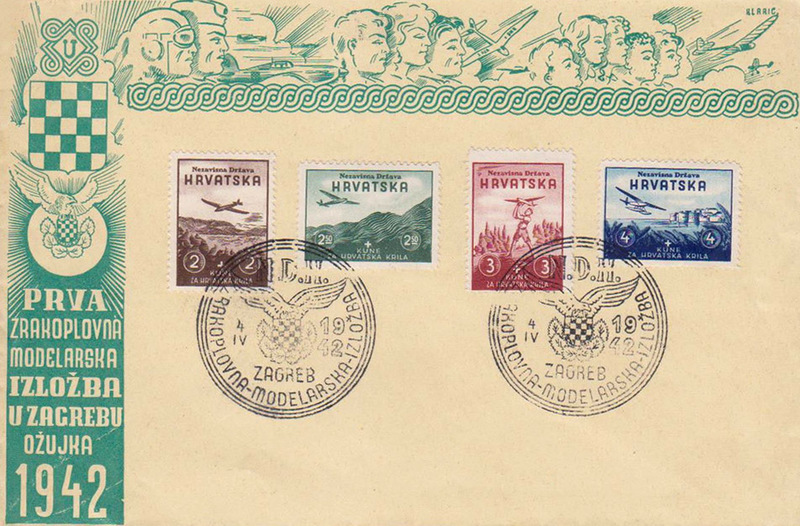 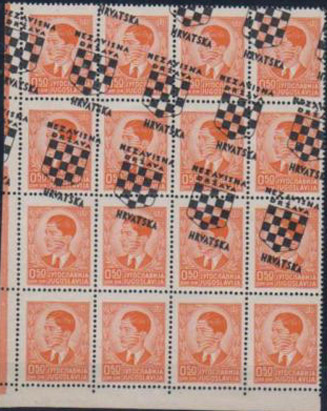 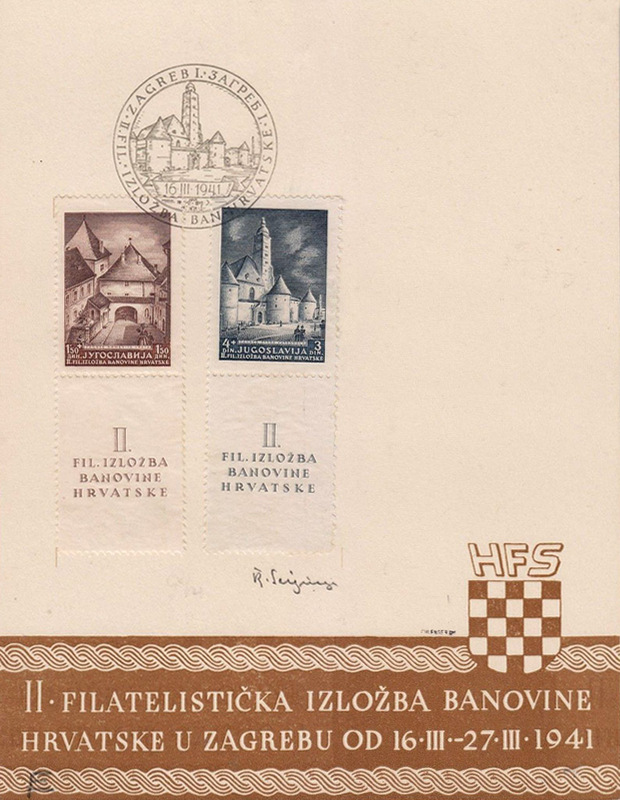 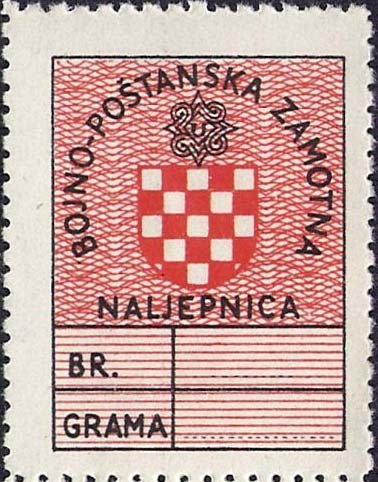 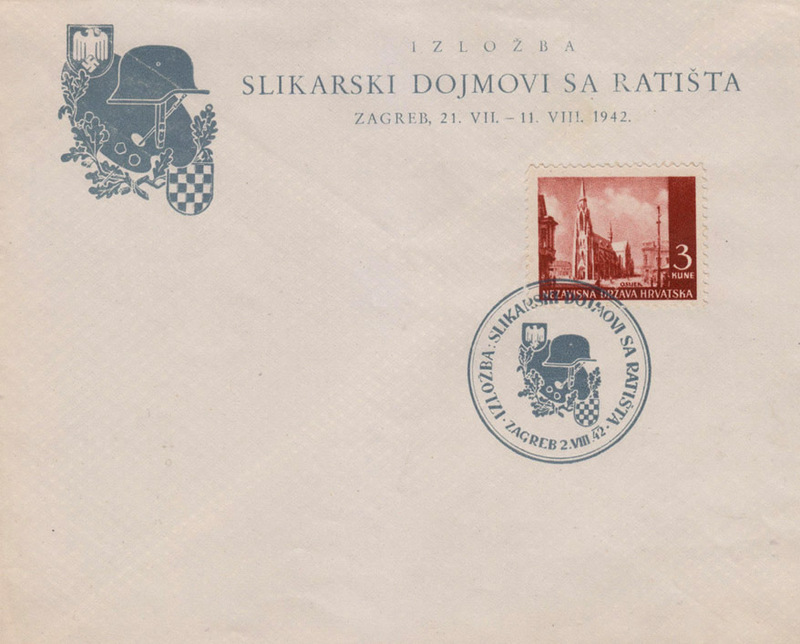 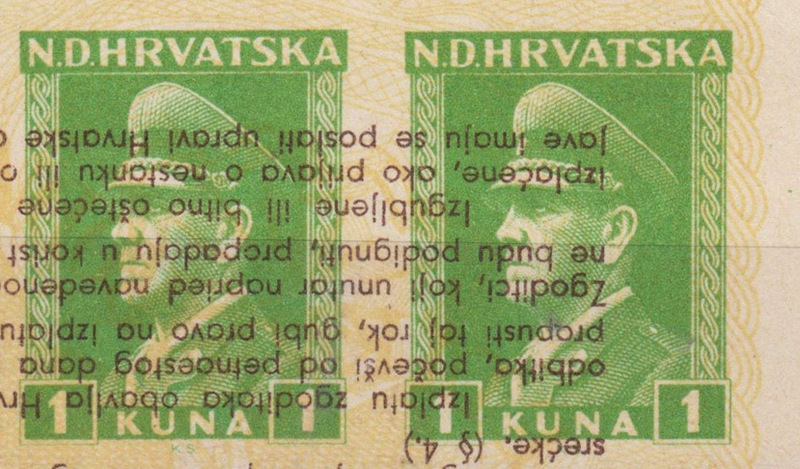 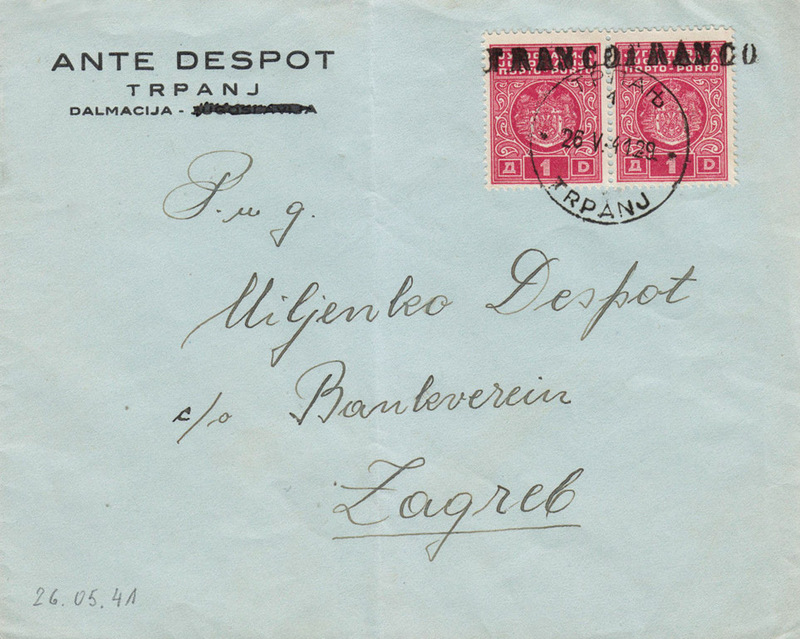 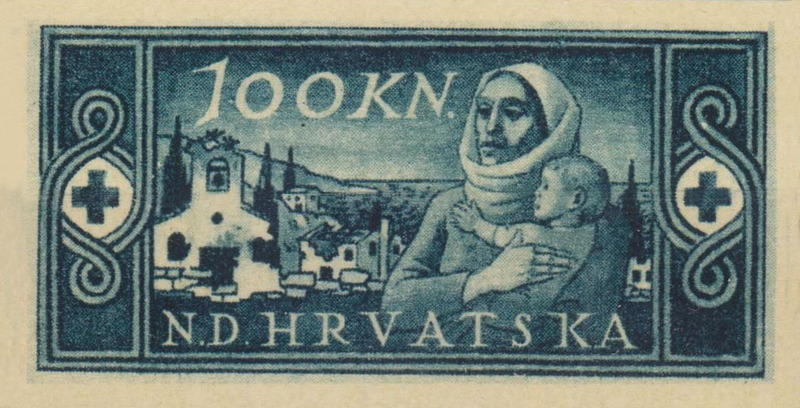 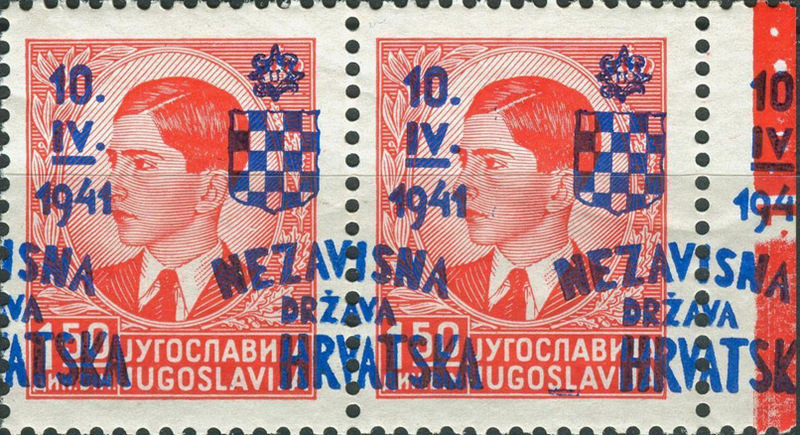 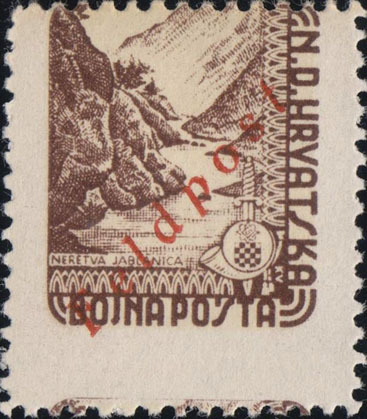 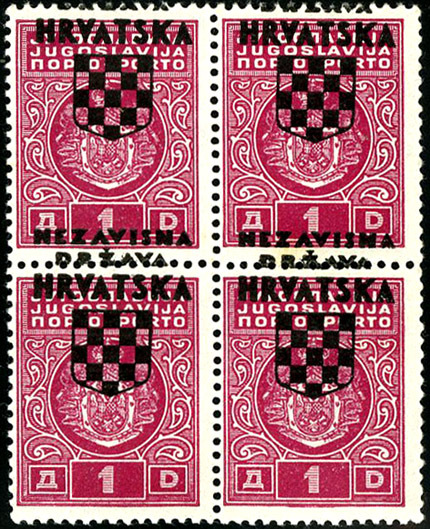 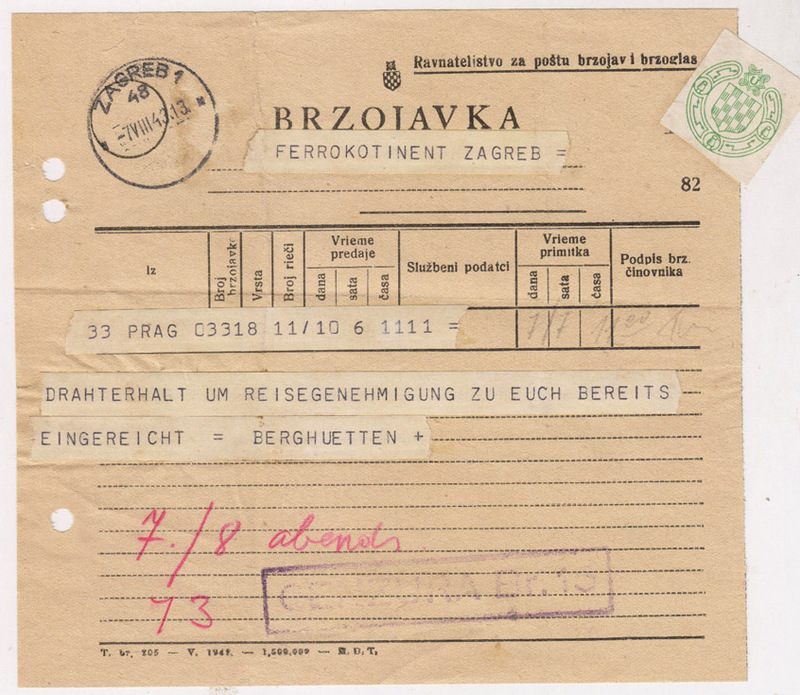 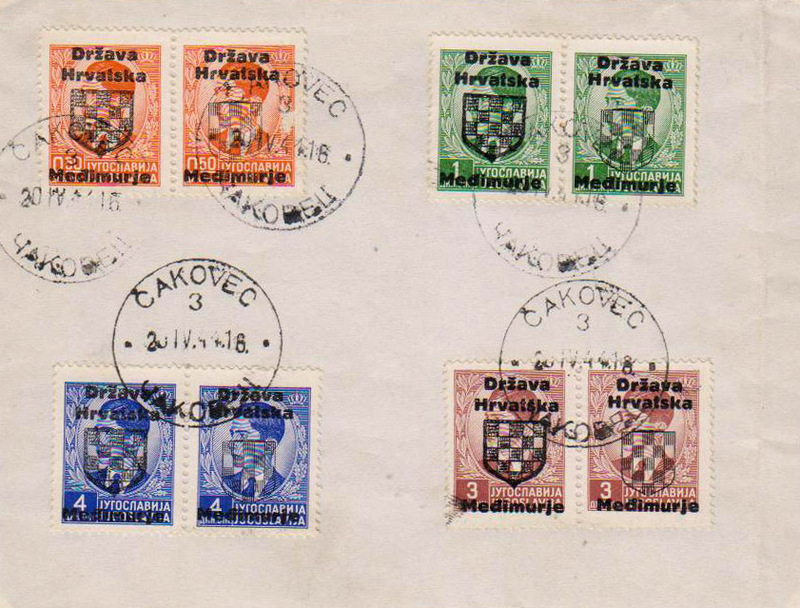 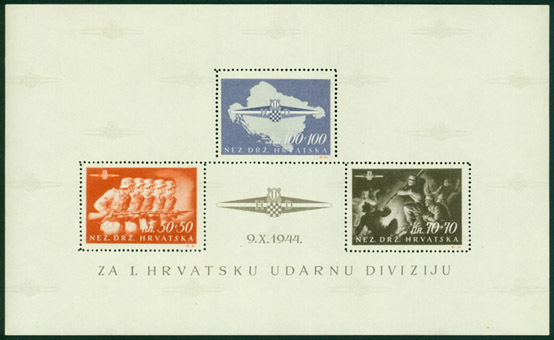 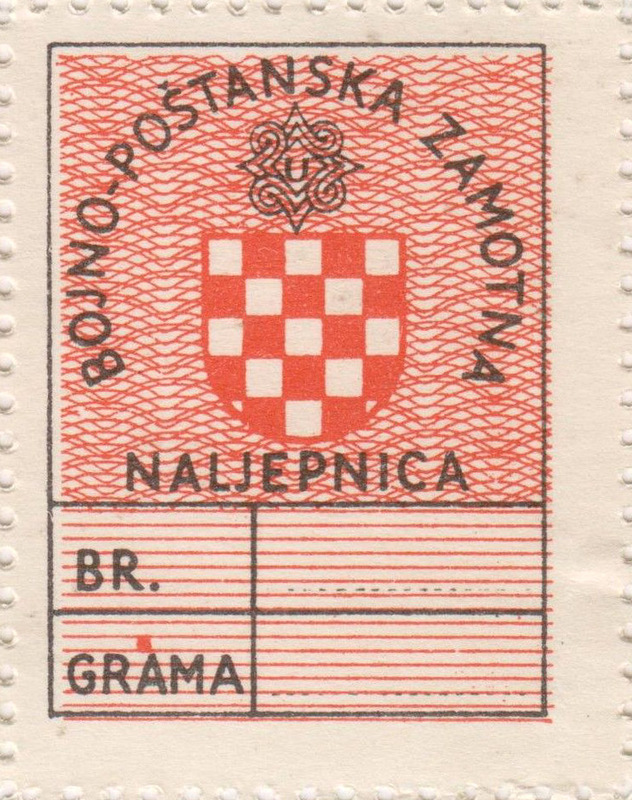 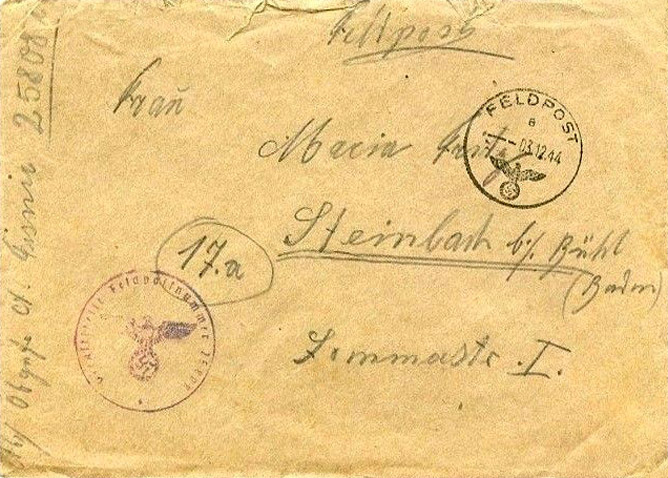 [Above: This is a modern fake of the above souvenir sheet! 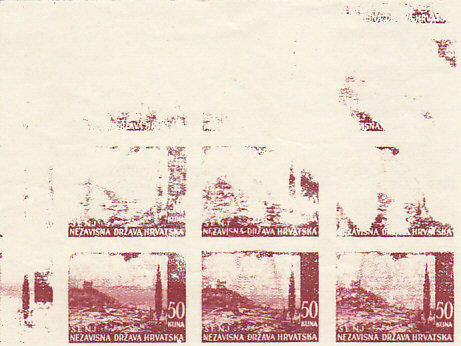 If you look carefully this fake does not hold up to scrutiny. 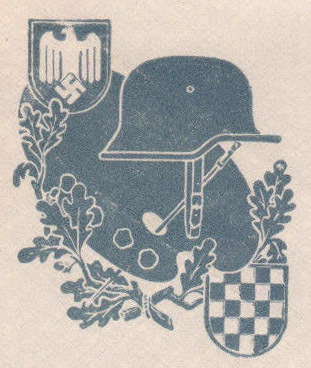 The middle design with the 'U H D' is especially crude when compared to the original. 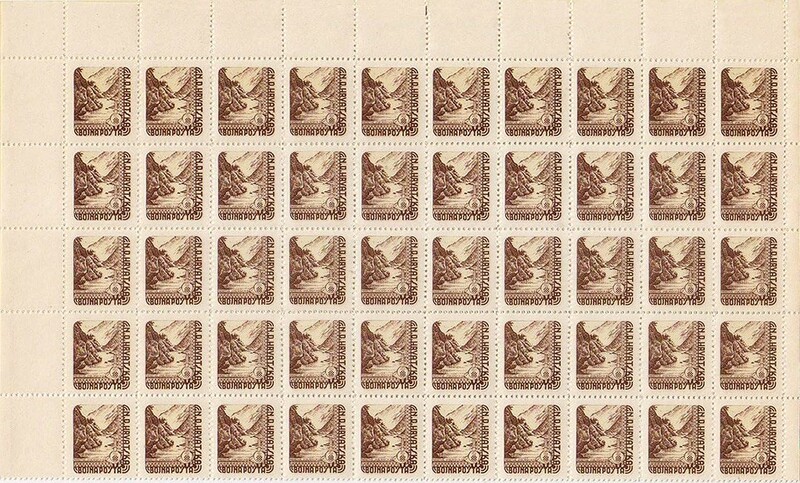 Also, the repeating background is entirely missing. 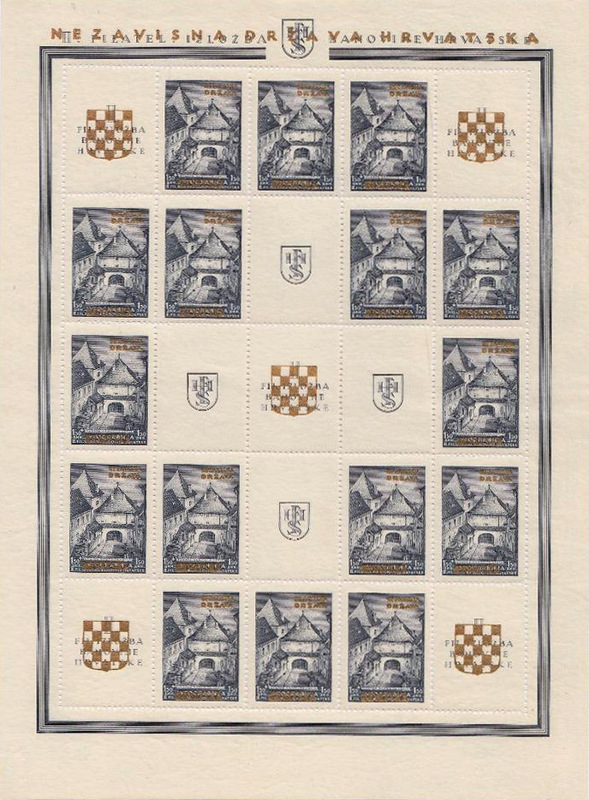 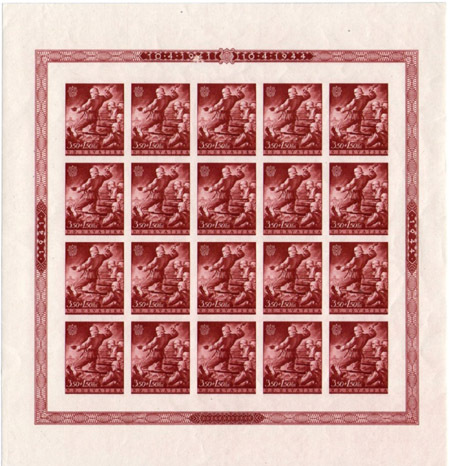 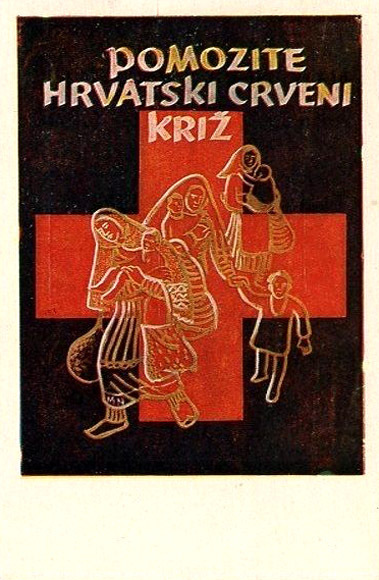 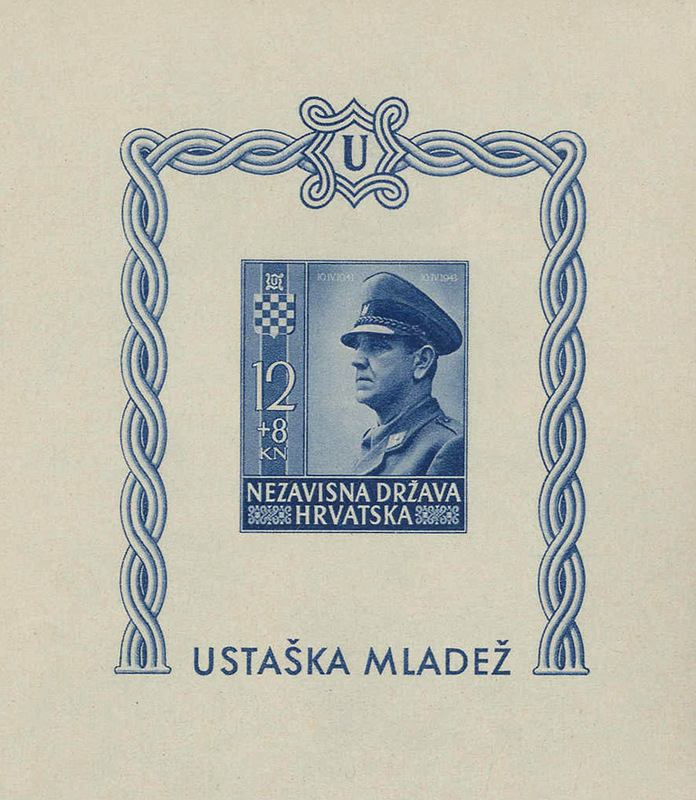 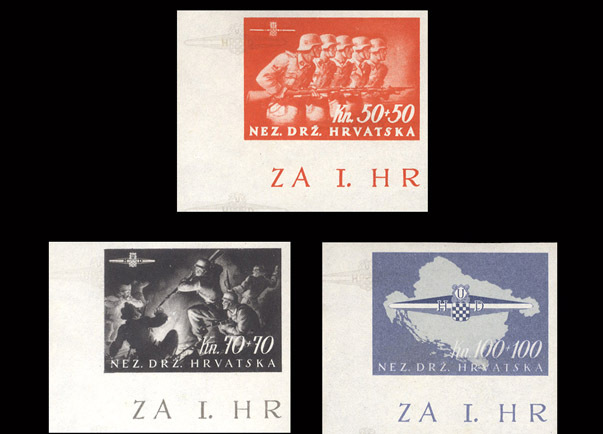 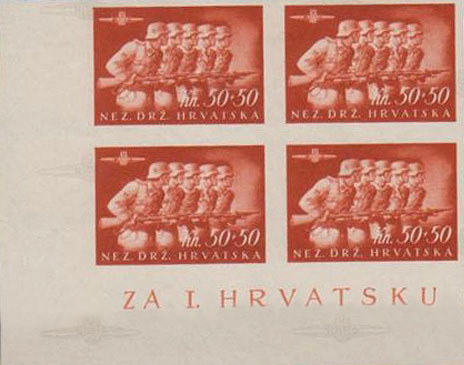 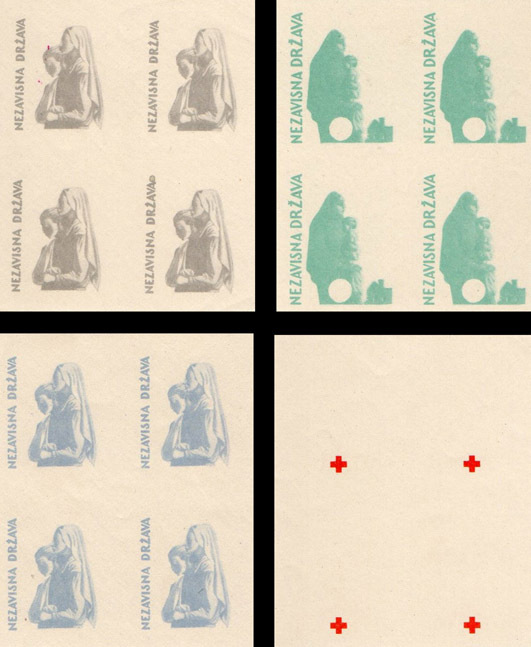 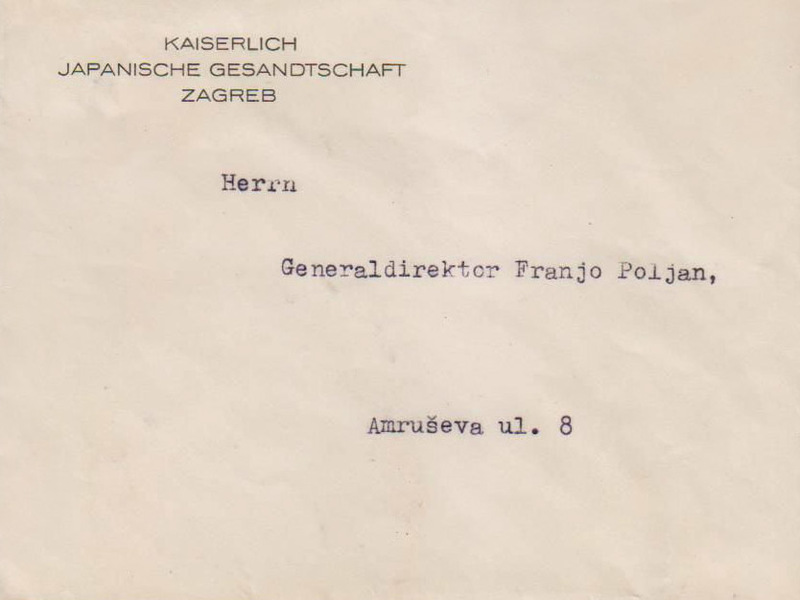 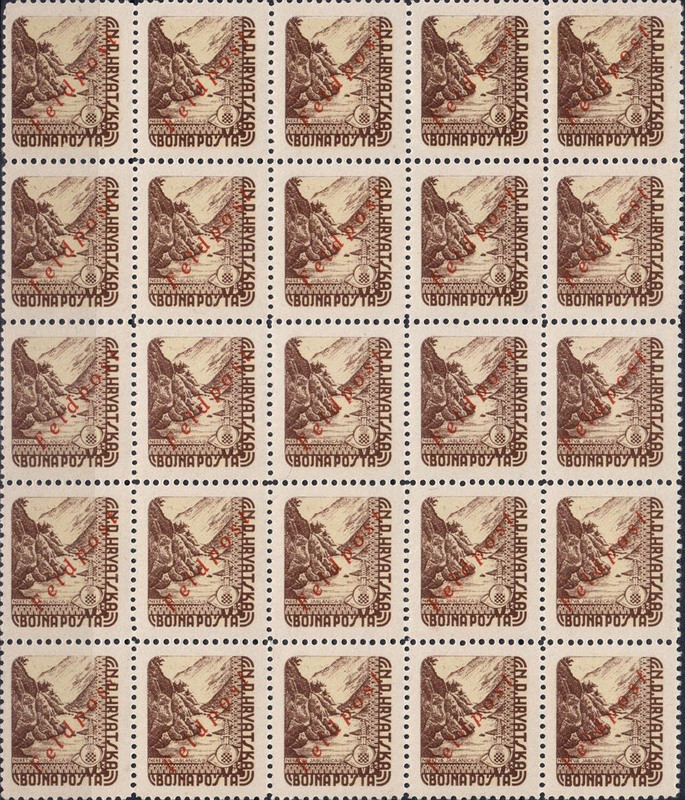 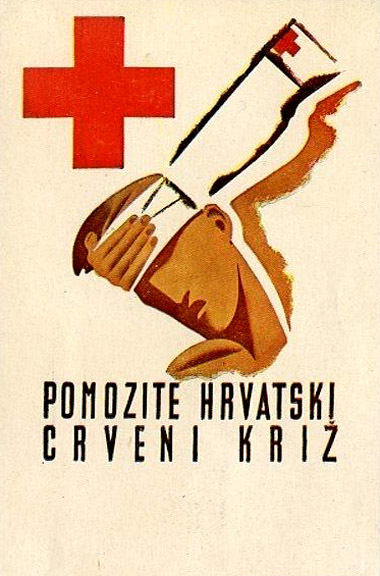 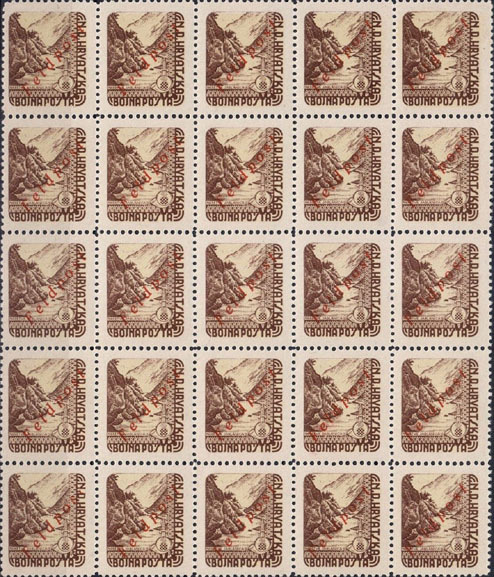 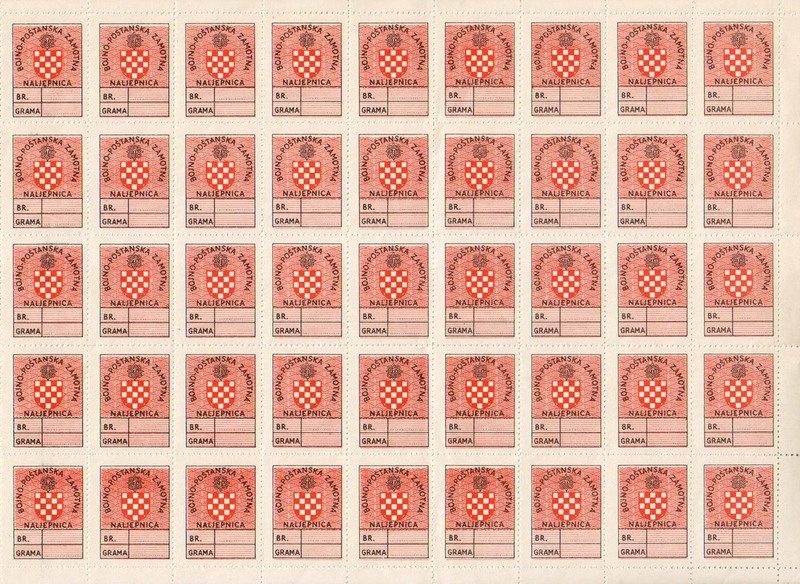 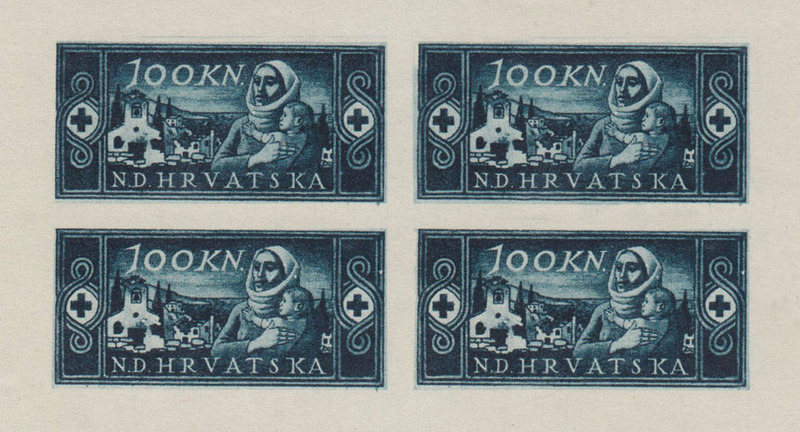 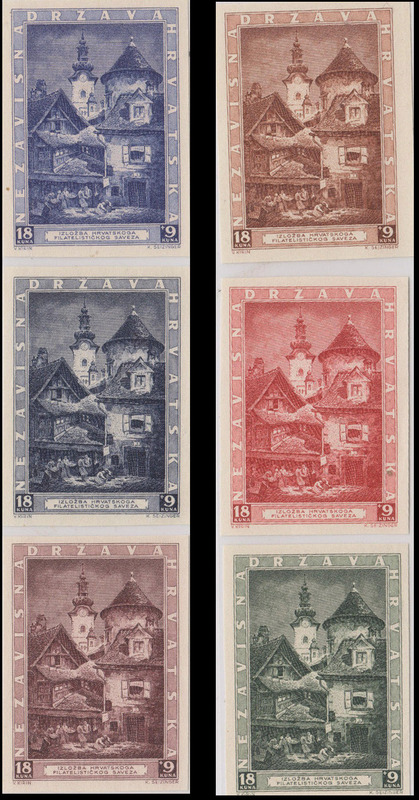 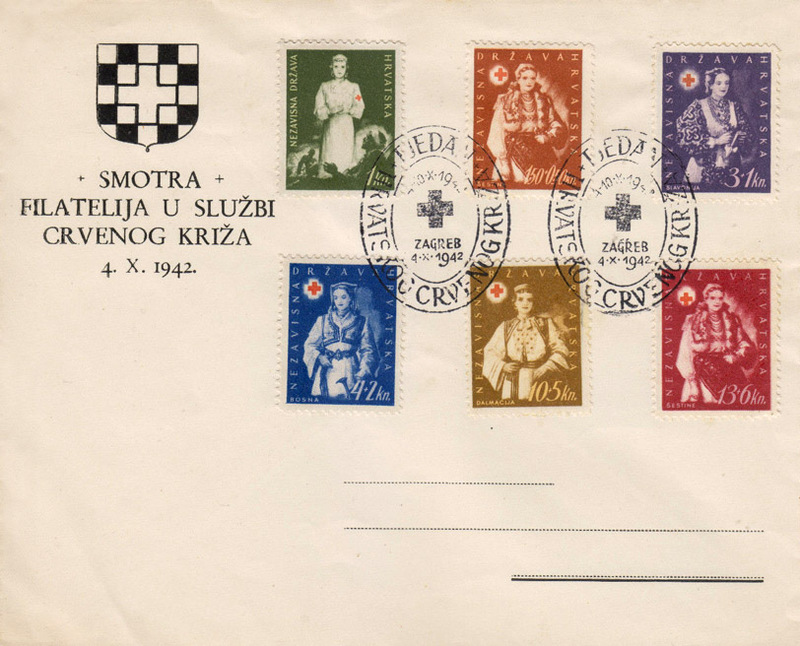 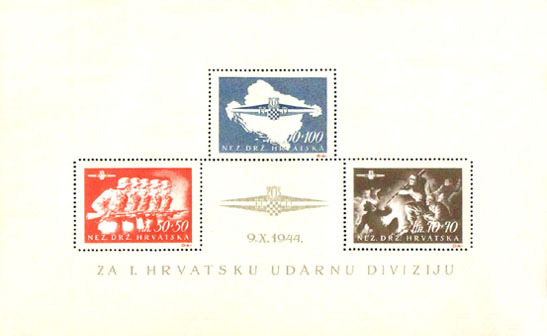 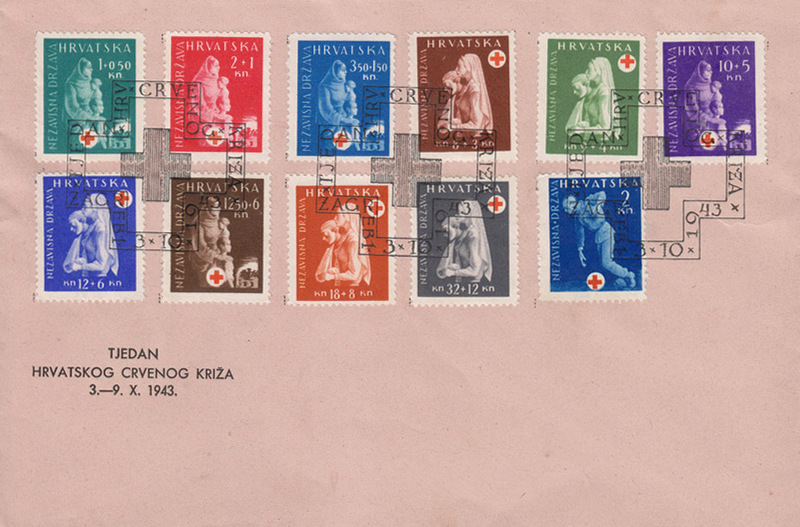 Below: Very rare 1945 Red Cross unissued postage stamps printed on carton paper. 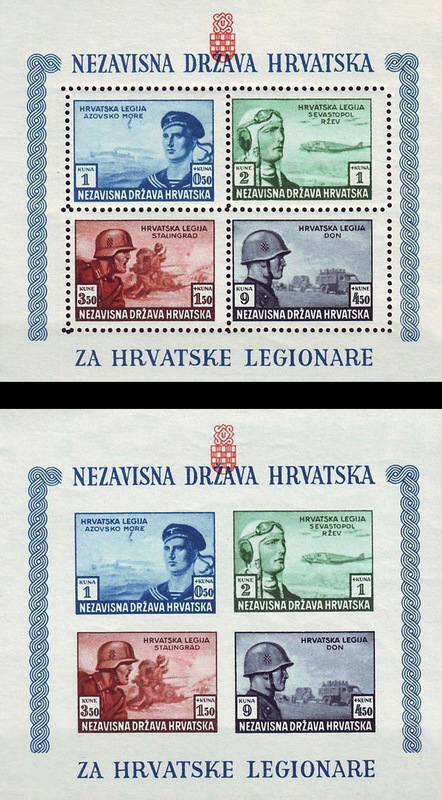 The war ended before these, and others shown below, could be released. 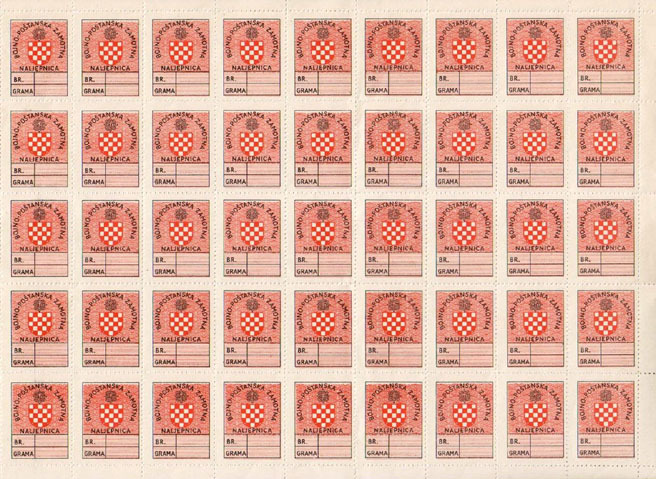 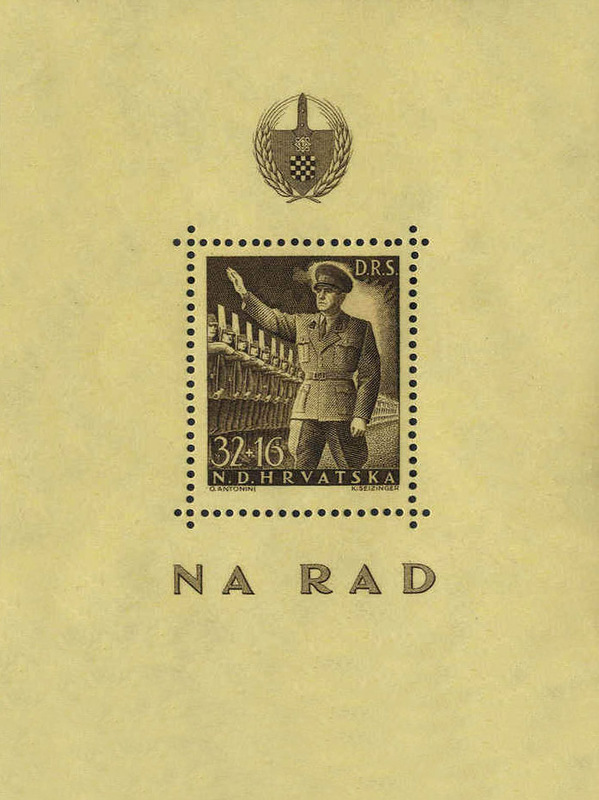 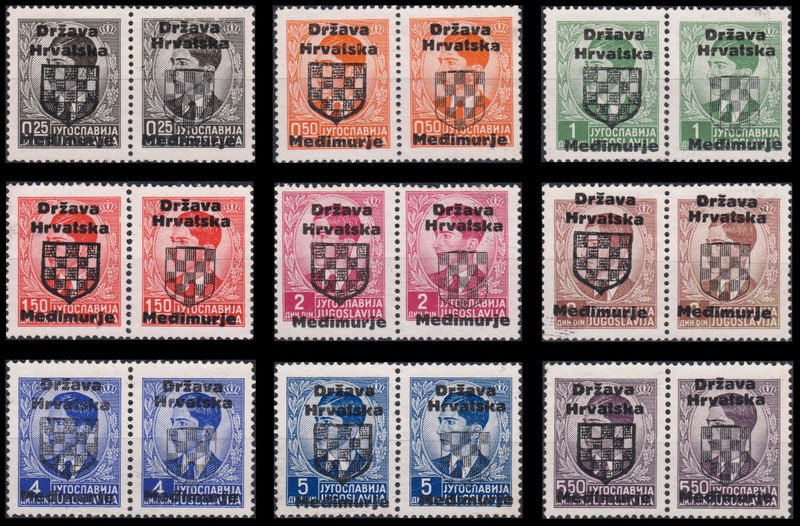 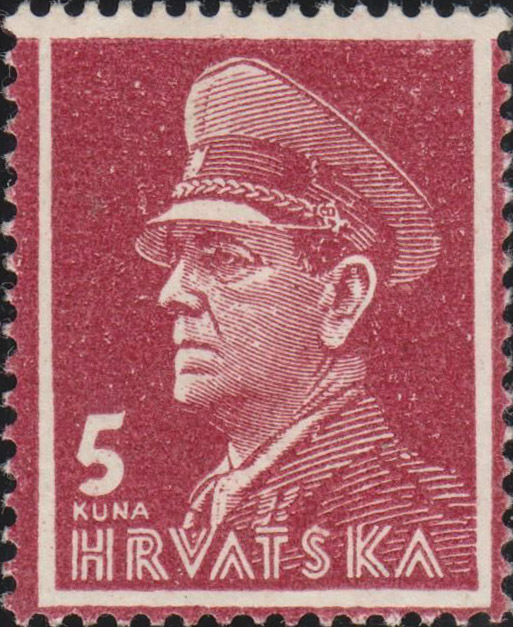 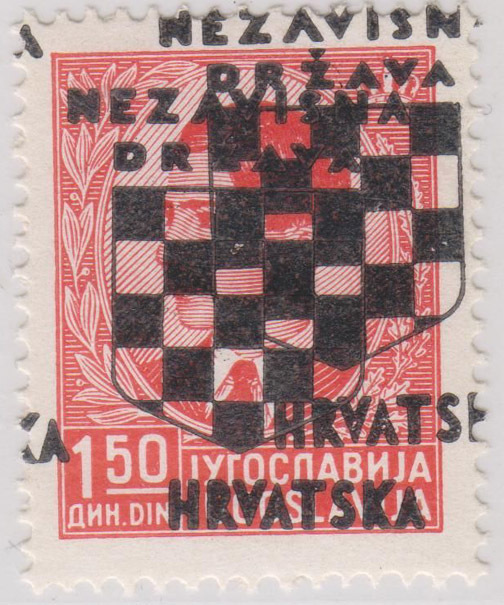 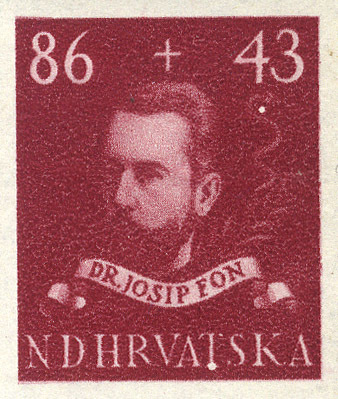 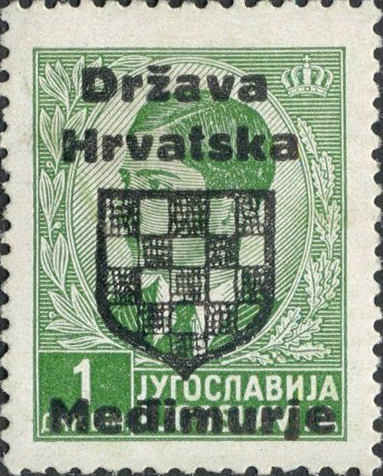 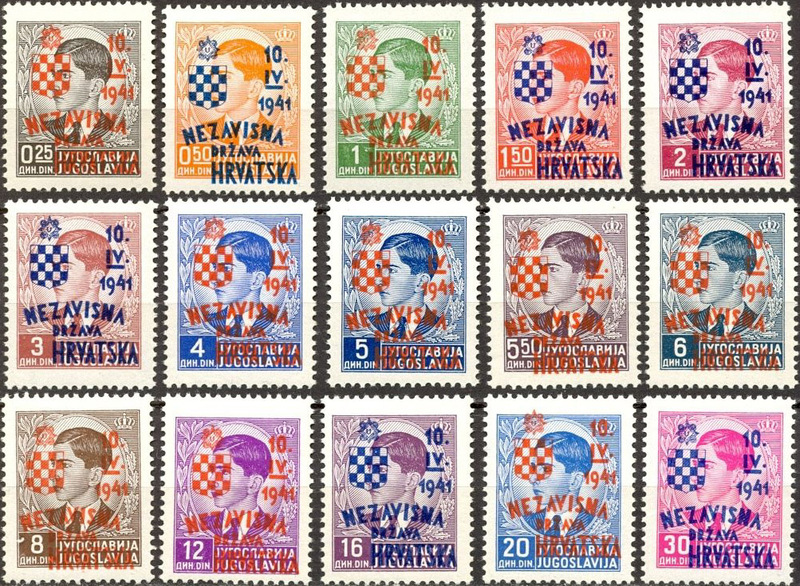 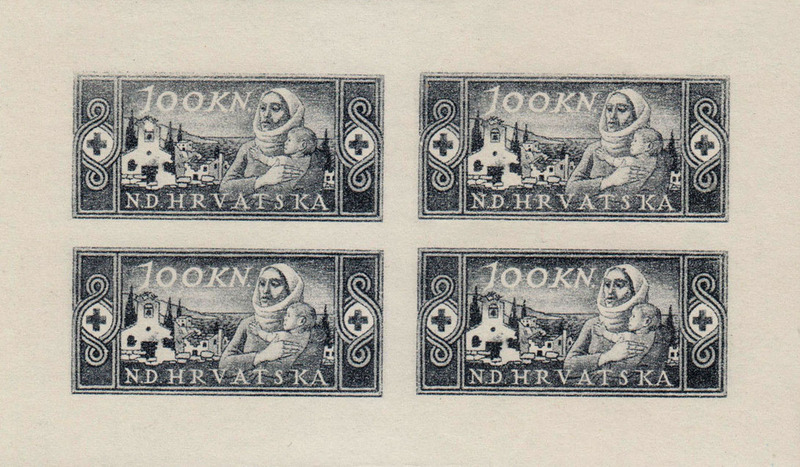 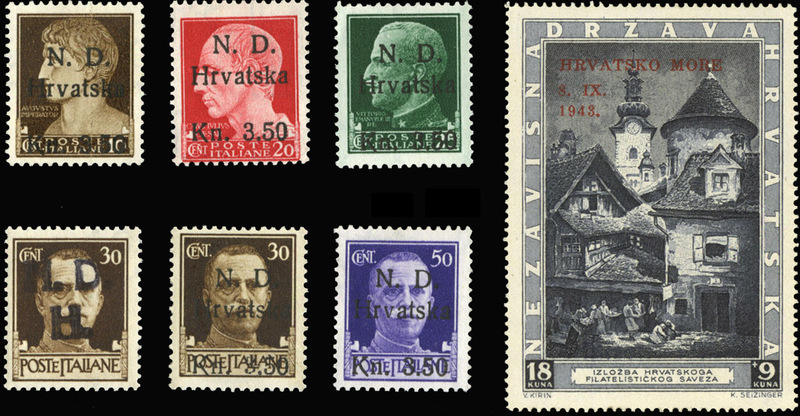 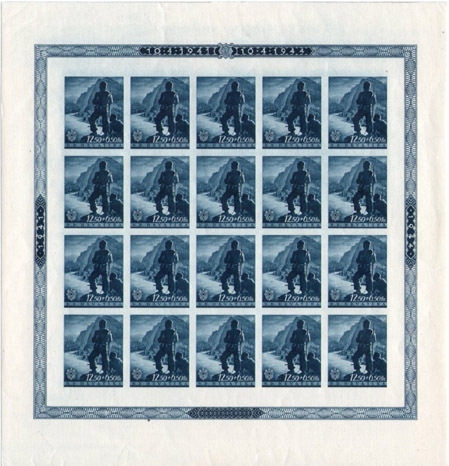 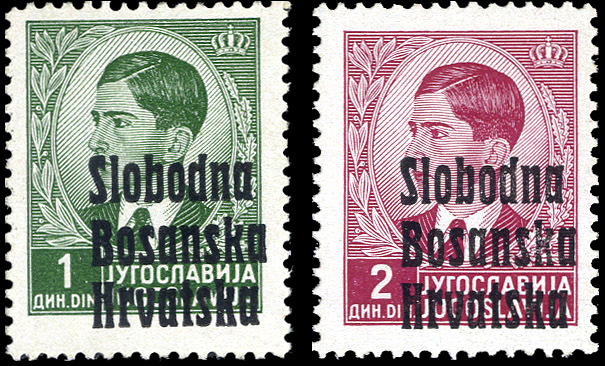 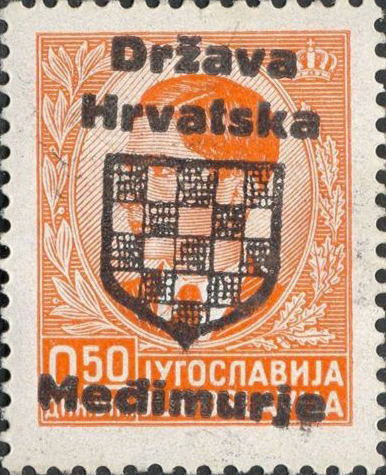 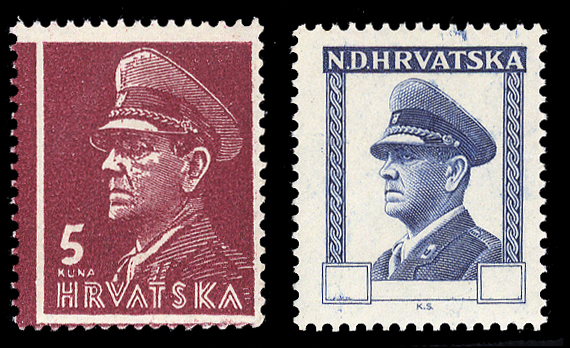 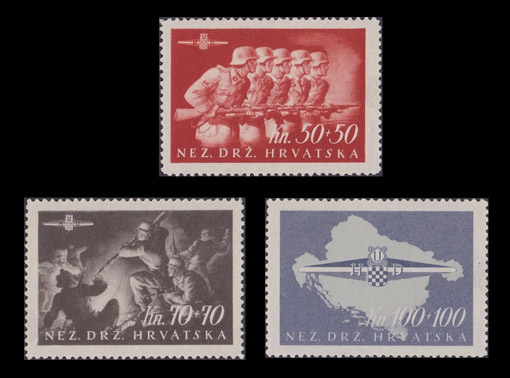 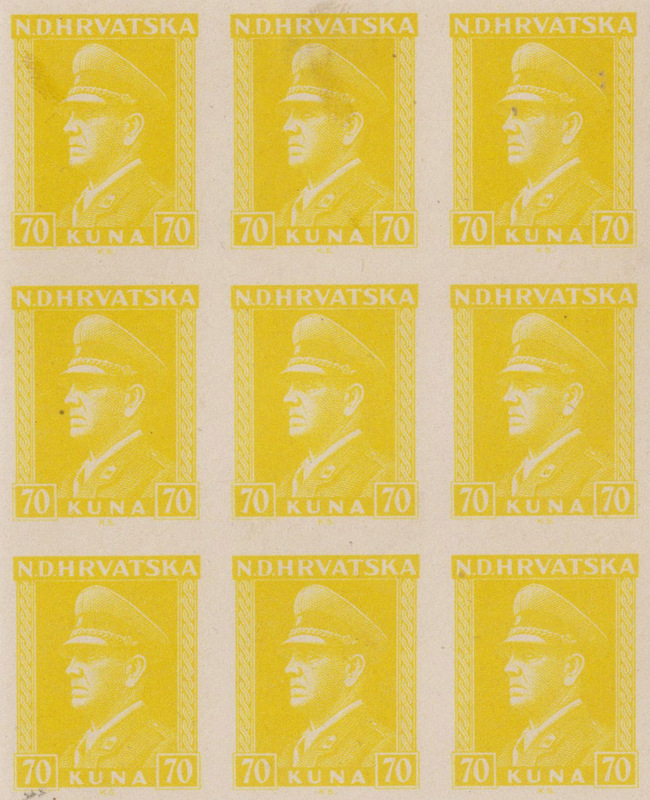 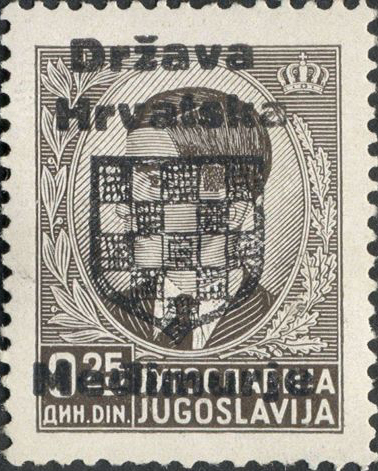 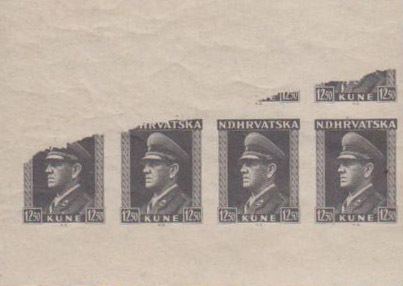 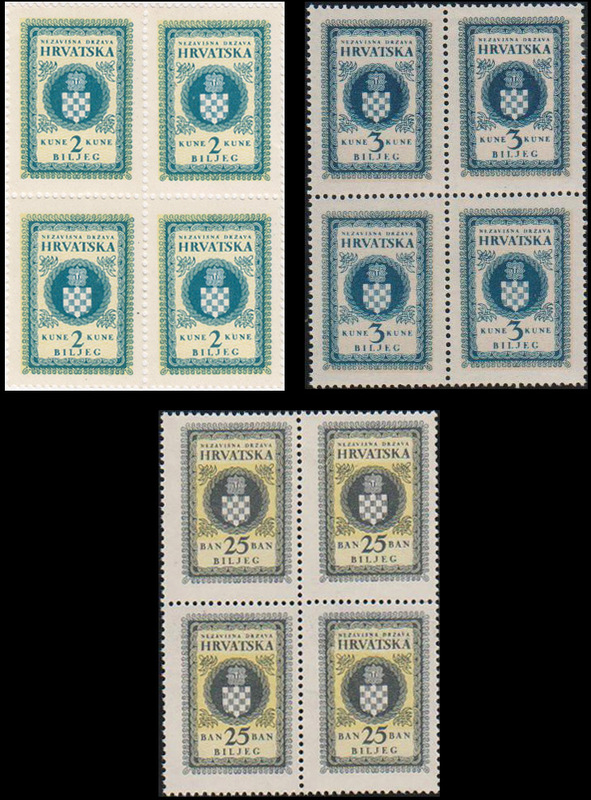 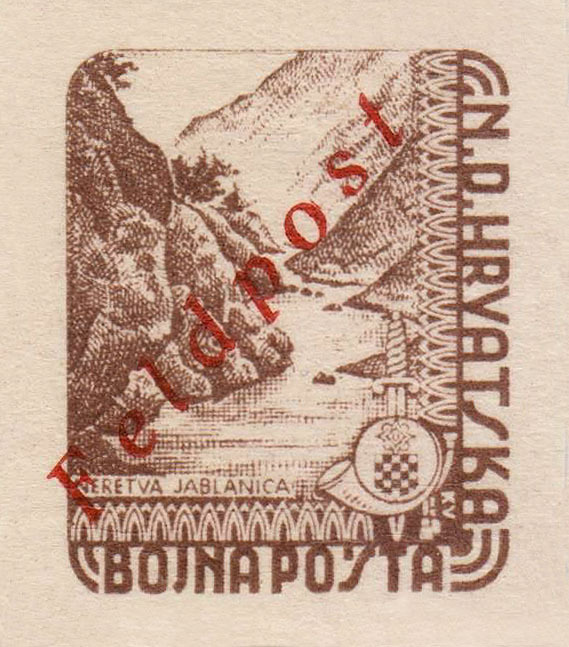 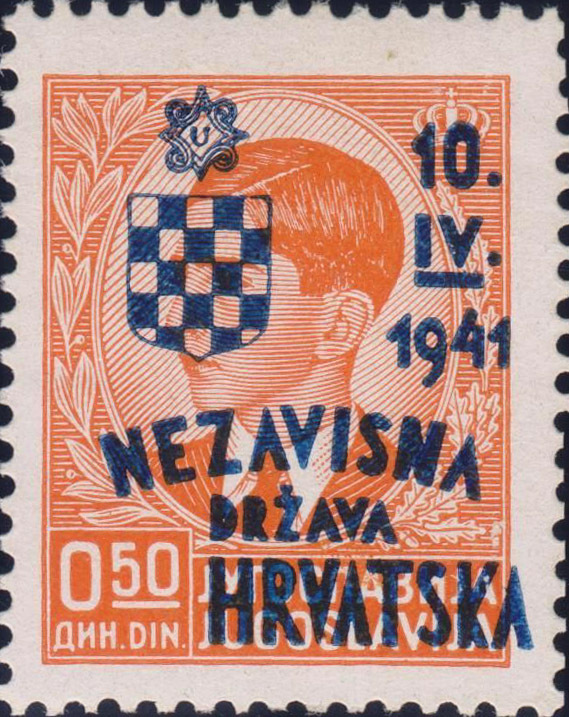 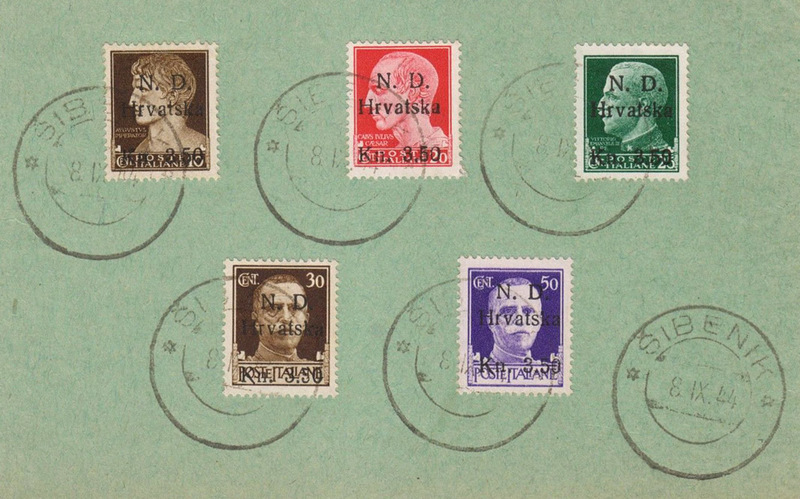 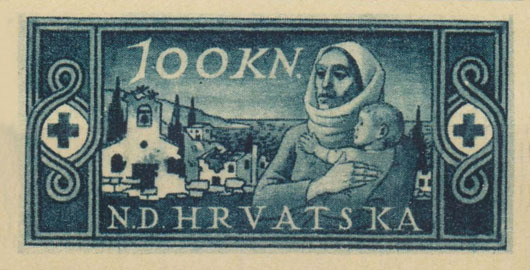 These stamps were never properly printed, so only testing examples exist.